The past year has been good to Sara Bareilles. After all, she sprang out of nowhere to earn a pair of Grammy nominations for Love Song, the lead single that not only made her a star but also turned her major label debut Little Voice into a commercial success. Like many up-and-coming songwriters, though, she has a tendency to overdo it by singing with such gusto that all of the subtleties in her material are lost. Nevertheless, beneath the surface of Love Song beats the Brill-Building pop of Carole King. If Bareilles could find the restraint to tone it down a notch, she likely would become an unstoppable force. Tony Lucca has shown a lot of promise, too. Although he hasn’t yet concocted an album that remains consistently engaging from start to finish, he has put together a sturdy body of work. In fact, within his five full-length albums as well as an assortment of EPs and soundtrack contributions, he has shown that he has all of the tools necessary for getting it right. On March 2 and 3, Bareilles and Lucca will unite for a pair of shows at Schuba’s, though tickets will not be easy to score. 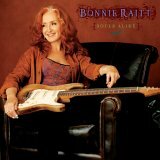 Bonnie Raitt’s best work came in the 1970s when no one was looking. It isn’t always easy, however, to survive on the accolades of music critics and musicians. In 1989, she changed labels, tapped Don Was for assistance, and unleashed Nick of Time. Although the effort jump-started her career, it also became clear that there was a huge cost to pay for her commercial success. For a while, it didn’t seem to matter. Every few years, Raitt not only increased her star-power, but she also collected huge paychecks for assembling new albums filled with polished, R&B-laden pop. Lately, though, Raitt seems more inclined toward finding the substance that has been missing from her studio endeavors. With the help of pianist Jon Cleary, Raitt has regained her focus, and her 2006 endeavor Souls Alike provided plenty of hope that a resurgence was underway. Raitt has yet to issue another studio set, but she has been giving some of her best concert performances in years. Surely, the sparks will fly when, on March 2 and 3, she and guitarist Jonny Lang unite for a pair of shows at Milwaukee’s Northern Lights Theater.